Sometimes movies just don�t have enough time to tell a story properly and sequels rarely hold up their standard. As a result as of late I�ve found myself more drawn to tv shows or mini series and so I�ve compiled a list of my personal favourite top 10 historical series to share with y�all. This series follows Queen Elizabeth I from youth to her dying days. There are many different versions of Elizabeth�s story but I think few actors manage to capture the range required for Elizabeth�s evolution. Moving from Elizabeth as a princess living in terror of her older sister, to her coronation and love affair with Robert Dudley, to the politics of English court we get to see many of her pivotal moments as Queen. We see her battle against the Spanish Armada and the complications with Mary Queen of Scots and how it weighs on her. Finally, a rare sight, we get to see Elizabeth in her old age and the dealing with true ramifications of being a Virgin Queen means. What made this series particularly outstanding from the myriad of Elizabeth stories out there is the performance given by Anne-Marie Duff. This story follows the legendary Norse hero Viking Ragnar Lothbrok and his desire to be King of the Viking tribes. Ragnar Lothbrok is looking for glory is all new places. Refusing to raid the same old villages that generations of Vikings have before Lothbrok sets off on a quest that has never before been accomplished � raid and pillage England! The sets/costuming are gorgeous although I cannot speak to their accuracy as I�m not as well versed in Norse history. My favourite character by far is Lothrok�s wife and I�m curious to see how she develops in the coming season. The series has been renewed for a second season to resume March 2014. The themes of the show as one can imagine it can be rather brutal and gory and may not be suitable for young ones. This particular series is unique as the first three episodes cover the same time frame each from a different vantage point and perspective. The fourth episode [SPOILER ALERT] ends with the Titanic sinking. Yes. I know, I�m sure you�re shocked to learn that this is how the series ends. This series covers all aspects of the Titanic from its design and construction to sailing to sinking. The perspectives include the posh and rich, their servants and second class, third class and stowaways and of course the ships workers from captain to coal shoveler. The very last episode combines them all together for the final moments of a ship deemed �unsinkable�. I really enjoyed this series because it was almost like watching a movie like �The Usual Suspects� over gain because it would fill in different gaps of information and show you the motivations behind each character, which I thought was really neat. 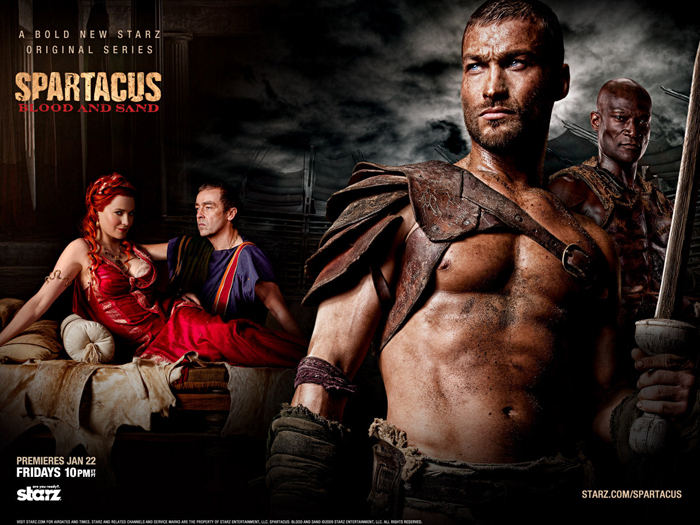 Spartacus was a decent enough show although by the fourth season I�ll admit my interest severely waned. Technically with this series it is three seasons and one prequel. After the first season was finished the lead actor the late Andy Whitfield was diagnosed with cancer and so the network produced a six episode prequel series. Sadly, Andy Whitfield died in 2011. At which point Liam McIntyre took over the role of Spartacus and the series continued. Yes, this is the 1960 story � �I am Spartacus� but it is ever so much more gruesome. Like Vikings, this series is definitely not meant for younger audiences or the weak of stomach. My two favourite characters in this series were Doctore played by Peter Mensah and Lucretia played by Lucy Lawless. Doctore is top dog in Gladiator school acting as a middle man between the Gladiators themselves and the nobles that own them. His calm and yet menacing demeanor not to mention his badass fight scenes make him a spot light thief for sure. Lucretia� oh Lucretia� ever the manipulative, scheming, heartless and crazy woman that was my favourite part of every episode she was in. This series was fun, but requires a fair bit of jumping around due to the aforementioned issues with production. Set in 12th Century England, Pillars of Earth is set in the fictional town of Kingsbridge. Based on the work of Ken Follet this nine part series shows a country torn apart by war and religious strife and the architecture that would either unite them or divide them. This story follows Tom the Builder (Rufus Sewell) in his quest to build a grand cathedral for the town of Kingsbridge. My favourite character by far is that of Jack (Eddie Redmayne) a boy who lives with his mother out in the woods that ends up a builder of the cathedral as well. The story is full of twists and turns romance and deceit and more than anything is amazing prequel story to our next series� World Without End. This series, also based on the work of Ken Follet, is set in the same town of Kingsbridge. This series takes place about 150 years after the great cathedral is built and shows King Edward III leading the nation into the hundred years war. This series absolutely stole my heart particularly the character of Carin and her uphill battle against a vicious man of the church, her own cousin, determined to ruin her life one way or the other! The sets and costumes in this series are fantastic, but expect to spend a lot of time either face-palming or yelling at the television set while they use their expert medical knowledge of using dung to pack wounds� and then are baffled about the origins of the plague that terrorizes the country! This series is a ten out ten and I highly recommend it! This television series circles around Downton Abbey, home to the Crawley family and their numerous servants the series explores the change of imperial aristocracy from prior to WWI into the 1920�s. The series is still running and who knows how long it will continue to explore the life at Downton Abbey. If you watch Number 8 � Titanic, it works as a perfect prequel as Downton opens with the Crawley family receiving news about the sinking of the ship, including the heir to the estate and Mary Crawley�s fianc�. The show explores the ups and downs of both those rich and those in service and is filled with a lot of fantastic characters. The most entertaining of whom is none of than Dame Maggie Smith who plays the most typical pompous aristocratic snob, of course secretly with a heart of gold. My personal favourite is the romance between Ana and Mr. Bates � but alas, I don�t wish to say to much. A series well worth watching, it�s been referenced in popular television shows such as Big Band Theory, How I Met Your Mother and even the Iron Man 3 movie! The White Queen takes a close look at the roles of various women during the War of the Roses in 15th century England based on Philippa Gregory's historical novel series The Cousins' War. A beautiful mix of history and superstition this series lends itself as a Tudor�s prequel. With Elizabeth Woodville as the main character this follows a rags to riches story with every danger and pitfall you can imagine! What I love most about this series aside from again the absolutely gorgeous costumes is their approach to witchcraft. If you�re a history geek you�ll know that there was a lot of superstition surrounding witch craft and those in power at this time and the way they show it here is just absolutely perfect for both the believer and the skeptic alike! You�ll find no shortage of blood in this series either as no character you love is safe in this vicious fight for the British throne. Also go figure two versions were apparently made one for BBC and one more sexually explicit version for America. Way to go guys. This two-season show follows two fictional characters; Vorenus (Kevin McKidd) and Pullo (Ray Stevenson) as they navigate life through Rome. Mingling with the common and the elite these two unknowingly affect the course or classical history as we know it. 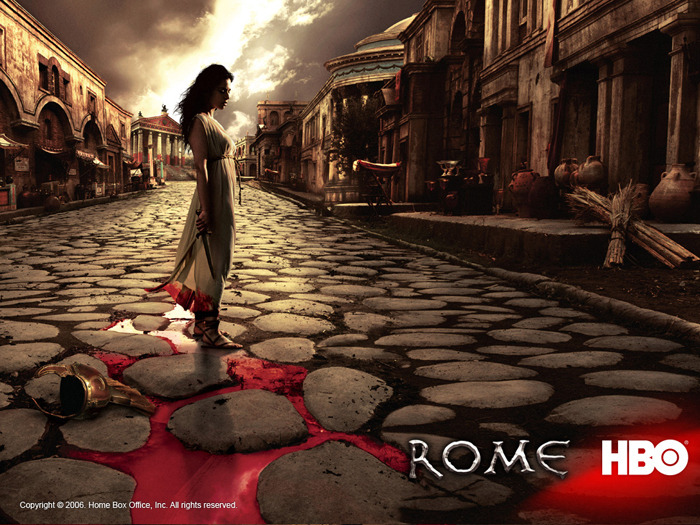 ROME lasted two seasons before it was canceled due to high budget. That being said it ended well and to date is probably my favourite historical series. Filmed in Italy the location and costumes are stunning. James Purefoy steals my heart, kinda, as Marc Antony in what is my favourite representation of the Roman general. Watch as he and Caesar fight politics whilst Atia, the most psychotic and amazing woman on screen, plays puppet master to the city through social games. If you�ve watched Sparactus I find a rather interesting parallel between Lucretia and Atia � and I�m betting I�m not the only one! The first season ends up [SPOILER ALERT] with Caesar dying and the second season shows Octavian�s transformation to Augustus and of course one of my favourite stories of all time that of Antony and Cleopatra! It�ll make you happy and it�ll make you cry. You�ll love characters you never expect and be surprised at the ones that let you down. A roller coaster of emotion and watching how Vorenus and Pullo affect the course of history as we know it this, in my opinion, is the best historical series out there! �Looking for a weekend marathon? 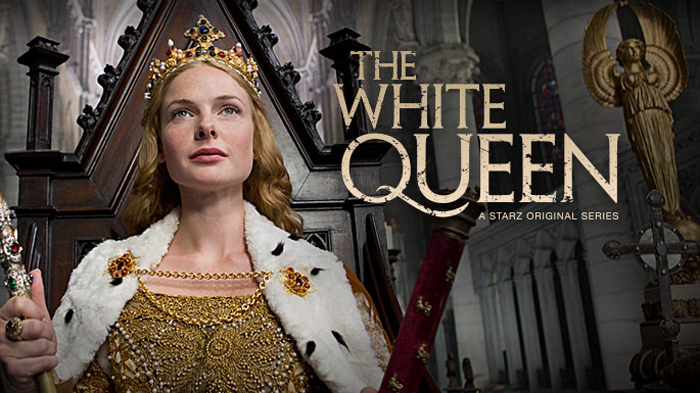 Begin with #2 � The White Queen (2013) 10 Ep. then watch #3 � The Tudors (2007-2010) 38 Ep. 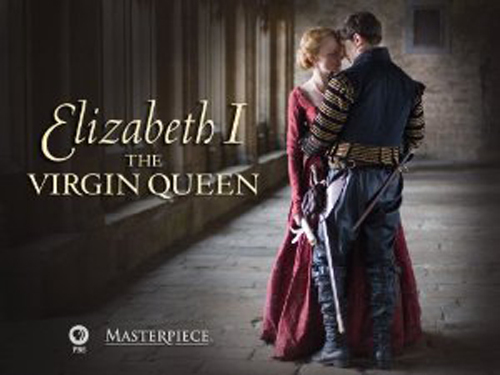 next watch #10 � The Virgin Queen (2005) 4 Ep. It�s a practically seamless series of the reign of the Tudor dynasy. This playlist is not for the feint of heart. It wasn�t known as the bloody reign of the Tudors for nothing! Not so fond of blood and torture? Prefer something more medieval and religious? Tuck yourself in with #6 � Pillars of Earth (2010) 9 Ep. and then watch #5 World Without End (2012) 8 Ep. By the end you�ll never be more thankful for modern medicine! Still think the plague might be a bit too graphic for your tastes? 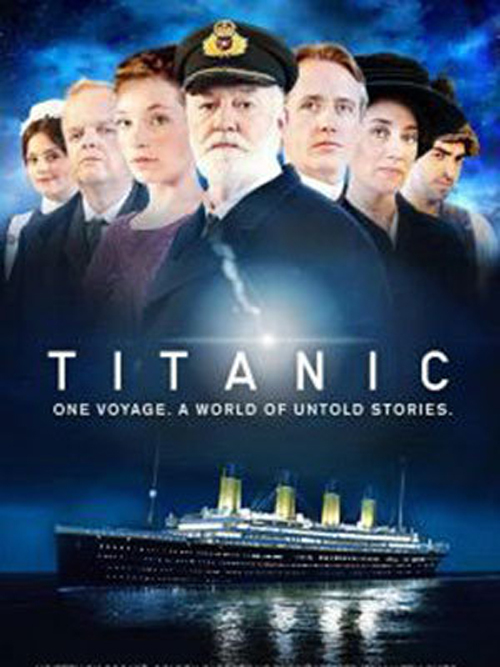 Then cuddle up with... # 8 � Titanic (2012) 4 Ep. 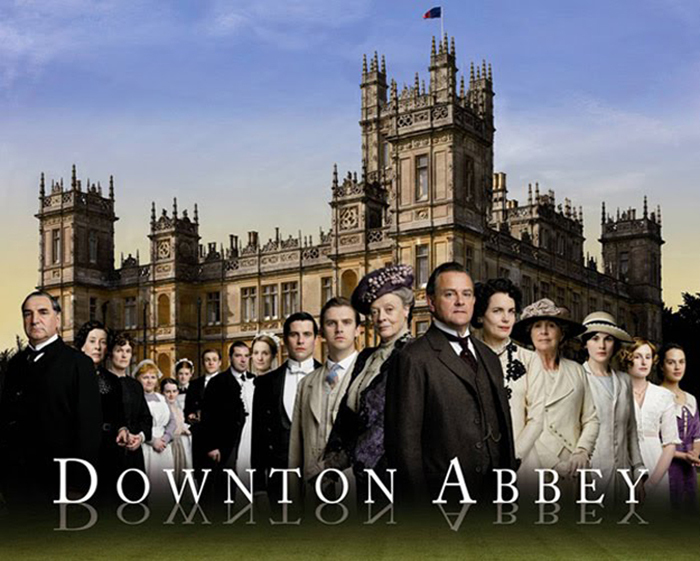 and when it�s over do yourself a favour and pop in #4 � Downton Abbey (2010-Present) 34+ Ep. fix yourself a cocktail and enjoy your weekend you classy fellow you!